Learn how to fix "Windows could not start the Software Protection service. Access is denied" error in Windows 10/8/7, in this post. While performing various operations, Windows requires dependency upon background services. For example, when you’re installing new software, the Software Protection service checks whether software is from reliable source or not, Windows is activated or not while installing this software etc. If this service found something that is not legitimate, it won’t allow you to install new tools your machine. This kind of issues may come into play if Software Protection service is not running or it is having trouble to get triggered. So in the Services (run services.msc command to get this) window, I found that Software Protection service wasn’t running. Windows could not start the Software Protection service on Local Computer. From the Access is denied in the message, it’s clear that some permissions hiccup is causing this issue. If you’re too facing this problem, I suggest you to first make sure that Windows is activated on your system. 2. In the System32 folder, look for the file named sppsvc.exe and take ownership of it. See : How to take ownership of sppsvc.exe file. After taking ownership sppsvc.exe, retry to start Software Protection service and see if you can. Else refer FIX 2 mentioned below. 3. In the above shown window, right click SoftwareProtectionPlatform key and select Permissions. In the Permissions window, highlight sppsvc in Group or user names section. Now check the options against Full Control and Read for Allow in Permissions for sppsvc section. 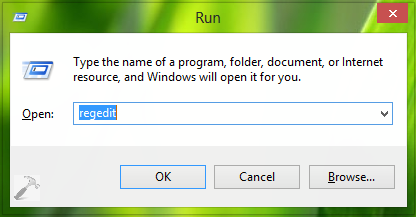 Click Apply followed by OK. You can now close the Registry Editor and reboot the machine. After restarting the system, you’ll find that problem no longer exists. Hope this helps! If you’re not able to start Bluetooth support service, go here. Thanks a bunch mate – that fixed it – what would the world do without people like you. Followed all steps – still Error 5: access denied (Win 8.1 Core) – can you please think of any other ways to fix it? this is the best solution for my problem! thanks a tons! Thankyou for this. I went through Microsoft support with this issue, and they tried to insist on reinstalling Windows 10 without saving app and personal settings, then proceeded to say my laptop (which has been running Windows 10 for a year or so with no issues) was incompatible. There is NO SUCH user or group on my Win 10 Enterprise system. Why is that and how do I fix it. ^^ If you could locate sppsvc.exe file, the group should be there. Please recheck! i am facing the same problem after promoting windows 2012R2 server as a domain controller.